In the aerospace industry, protective coatings are employed to offer high resistance against corrosion, solar heat & UV rays, fog, and climatic stress, which are responsible for causing wear & tear of metal surfaces. In addition, they reduce the overall weight of the aircraft, which leads to reduced CO2 emission. Commercial aviation, military aviation, and general aviation makes use aerospace coatings to reduce maintenance cost and overall weight to meet the emission standards. Specialized resins such as polyurethane resins, epoxy resins, and others such as silicone, polyester, and acrylic are used as aerospace coating materials. Growth of aviation industry in India has been a major driver for the India aerospace coating market. Furthermore, development of chromium-free technology has surged the demand for aerospace coatings in India. However, fluctuating raw material prices and harmful environmental impact of chromium & lead-based heavy metals have hampered the market growth. On the contrary, the use of nanotechnology in the manufacturing of aerospace coating is expected create new opportunities for the market growth. The report segments the India aerospace coating market based on resin type, technology, user type, end-use industry, and application. On the basis of resin type, the market is divided into epoxy, polyurethane, and other. Depending on technology, it is classified into solvent-based, water-based, powder, and others. By user type, it is categorized into original equipment manufacturer and maintenance, repair, and overhaul. According to end-use industry, it is fragmented into commercial aviation, military aviation, and general aviation. By application, it is bifurcated into exteriors and interiors. 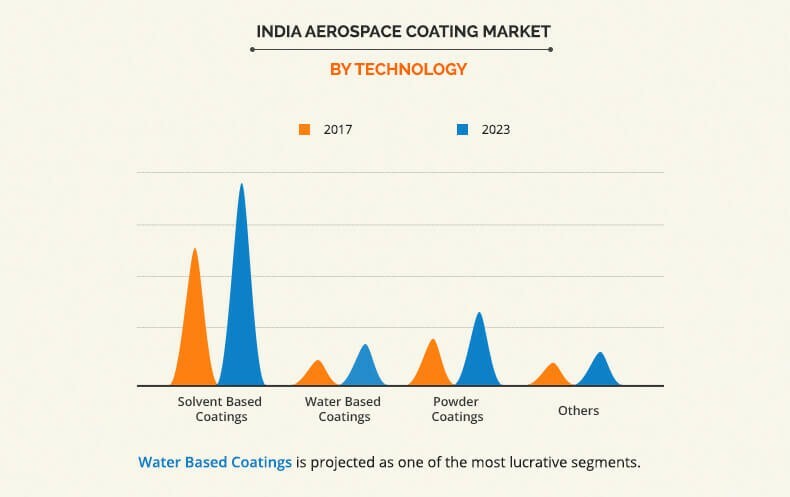 The India aerospace coatings market is highly consolidated with operating key players such as Akzonobel N.V., BASF SE, Henkel AG, Hentzen Coatings, Inc., IHI Ionbond AG, Mankiewicz GEBR, Mapaero, PPG Industries, INC, The Sherwin-Williams Company, and Zircotec Ltd.
Water-based coatings is anticipated to witness high growth rate during the forecast period, owing to ease of clean up, lower VOCs, decreased fire hazard, and less requirement of petroleum-based raw materials in coatings. Polyurethanes is projected to be the most lucrative segment, as they offer more defense against chemical, staining, and abrasions as compared to other coatings. Moreover, it acts as a UV inhibitor to protect aircraft from corrosive effects of UV rays. In addition, it is durable as well as elastic, and does not crack under excessive pressure even if the fillers underneath experience cracks. Based on end-use industry, the commercial aviation segment is estimated to grow at the highest CAGR during the forecast period. 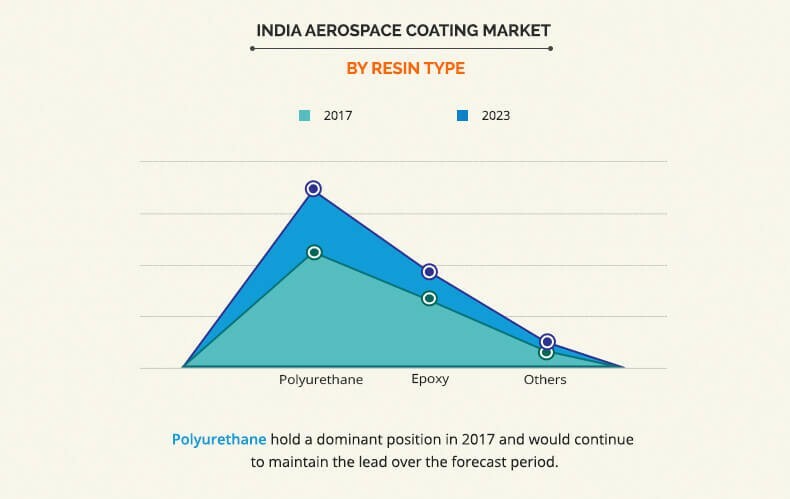 Increase in number of air travelers, rise in cargo traffic, and upsurge in international trade have boosted the demand for coatings in the commercial aviation industry, thereby supplementing the growth of the India aerospace coatings market. This report entails a detailed quantitative analysis of the current market trends from 2017 to 2025 to identify the prevailing opportunities along with strategic assessment of India Aerospace coating market. 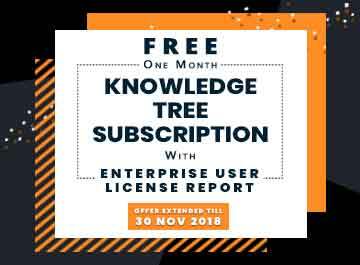 Market size and estimations are based on comprehensive analysis of the modalities, applications, end users, and developments in the industry. 9.6. Mankiewicz Gebr. & Co.
TABLE 08. INDIA AEROSPACE COATING MARKET VOLUME, BY END-USE INDUSTRY, 2015-2023 (KILOTON). The demand for aerospace coating has increased considerably across general aviation, commercial aviation, and military aviation, owing to increase in demand for chromium-free and environment-friendly aerospace coatings. 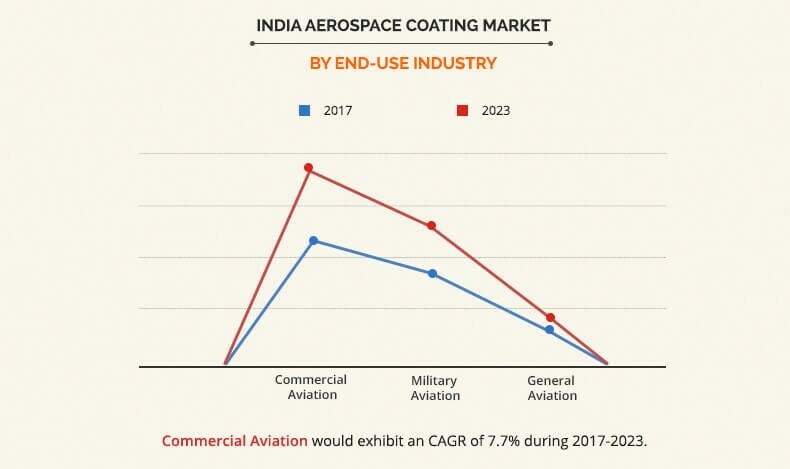 The growth of the India aerospace coating market is propelled by increase in air traffic that has boosted the purchase of commercial aircraft. This in turn has fueled the demand for associated facilities such as aerospace coatings, thereby supplementing the growth of the India aerospace coatings market. However, fluctuations in raw material prices tend to increase the cost of the coating resins, which hamper the market growth. The polyurethane resins dominate the market, owing to its growing use on both interior and exterior metal structures as a top coat in commercial, military, and general aviation aircraft to offer defense against chemical, staining, and abrasions. Solvent-based coating is estimated to grow at a CAGR of 6.6% and is anticipated to maintain its strong position in the future.